LAFIA— Ahead of Saturday presidential election, opposition political parties in Nasarawa State, and their candidates yesterday, kicked against the location of Independent National Electoral Commission, INEC, collation centre close to the state Government House in Lafia, appealing to the commission to relocate the centre in the interest of peace and fairness. Speaking at a one-day stake holders’ interactive session, the opposition parties alleged that locating the collation centre by the Government House was a plot to prevent their agents and other stakeholders access into the centre. According to the state chairman of Peoples Democratic Party, PDP, Francis Orogu, locating the centre near the Government House was a ploy by the ruling party to manipulate the elections in the state. The Resident Commissioner in-charge of the state, Dr. Uthman Ajidagba, urged the stakeholders to collaborate with INEC in the state to ensure free, fair and credible elections in the state, saying: “It is the responsibility of all of us to work and take responsibility for the success of the elections. INEC alone cannot do it right without the involvement, commitment of all working together. 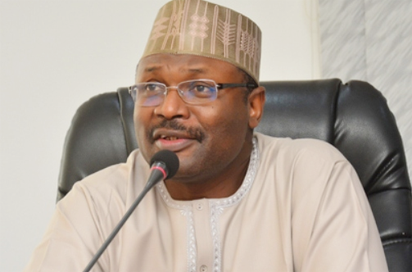 The commissioner, who cautioned politicians, voters and other stakeholders against violence, disclosed that over 1, 600 voters collected their PVCs between Saturday and Sunday in the state as a result of the extension by INEC.